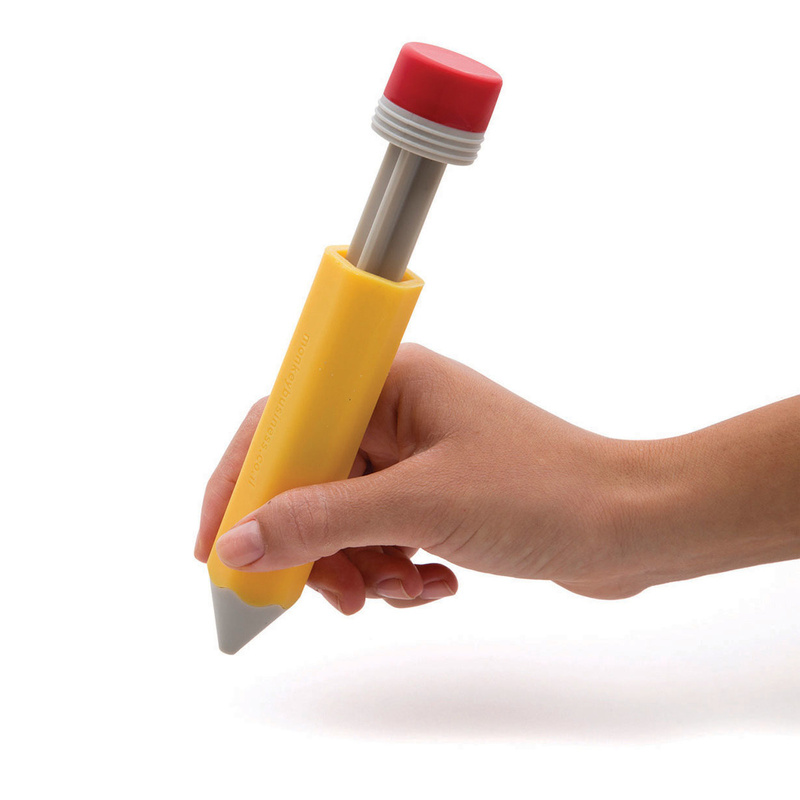 The Write on cake pen: decorating sweets and cakes has never been so easy! 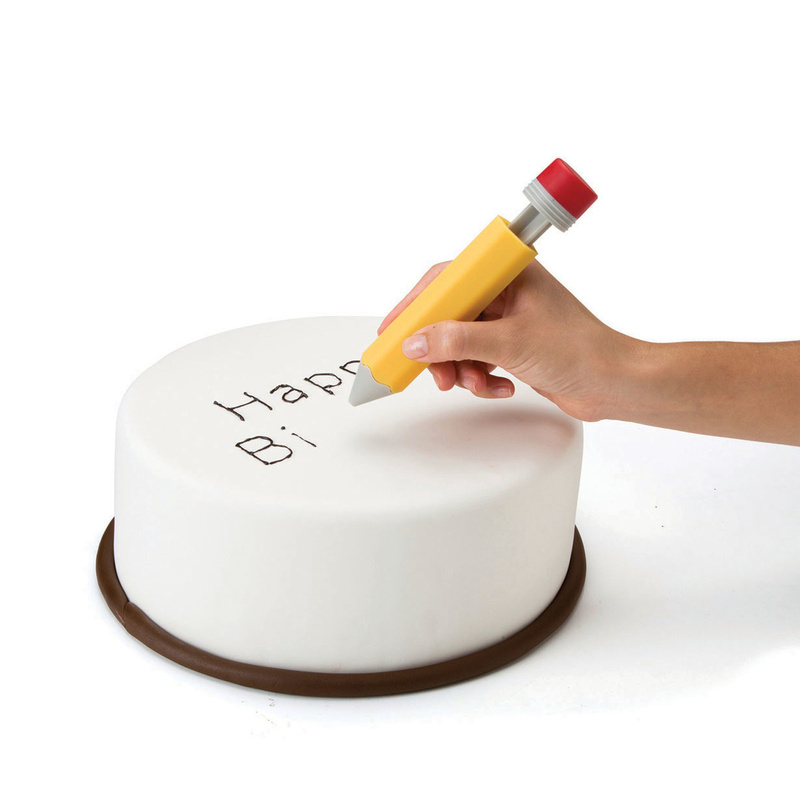 The Write on cake pen is an original item by Monkey Business, a tool you simply cannot do without if you like cake design or simply baking, allowing you to decorate your creations whether you are a professional or a simple beginner in this craft. 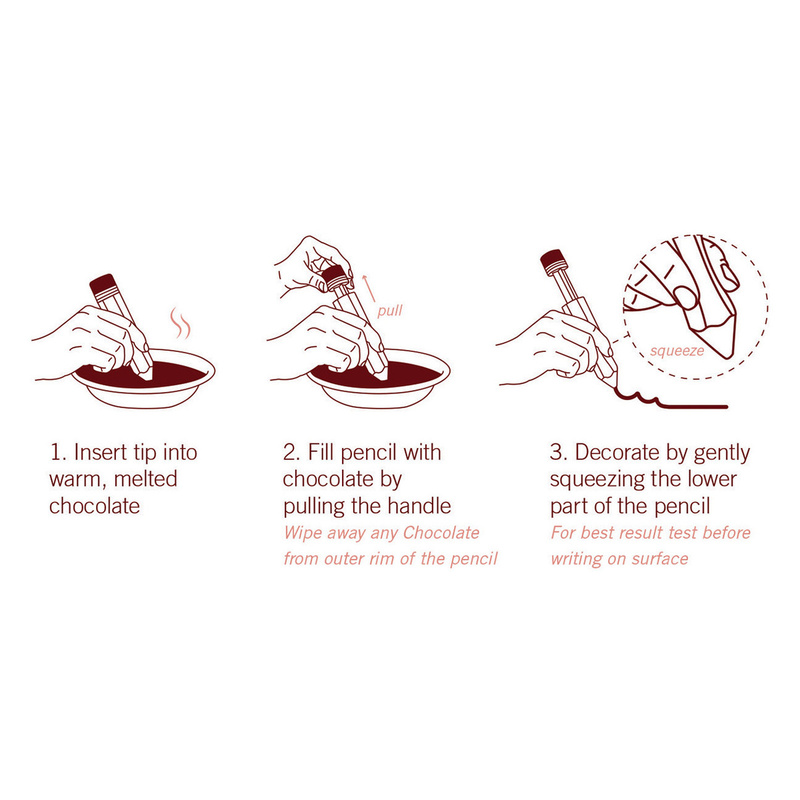 Using this pen is very simple: first of all, its tip should be inserted into chocolate, glazing, or any other ingredient you want to write with, then you have to raise the plunger and fill the pen. 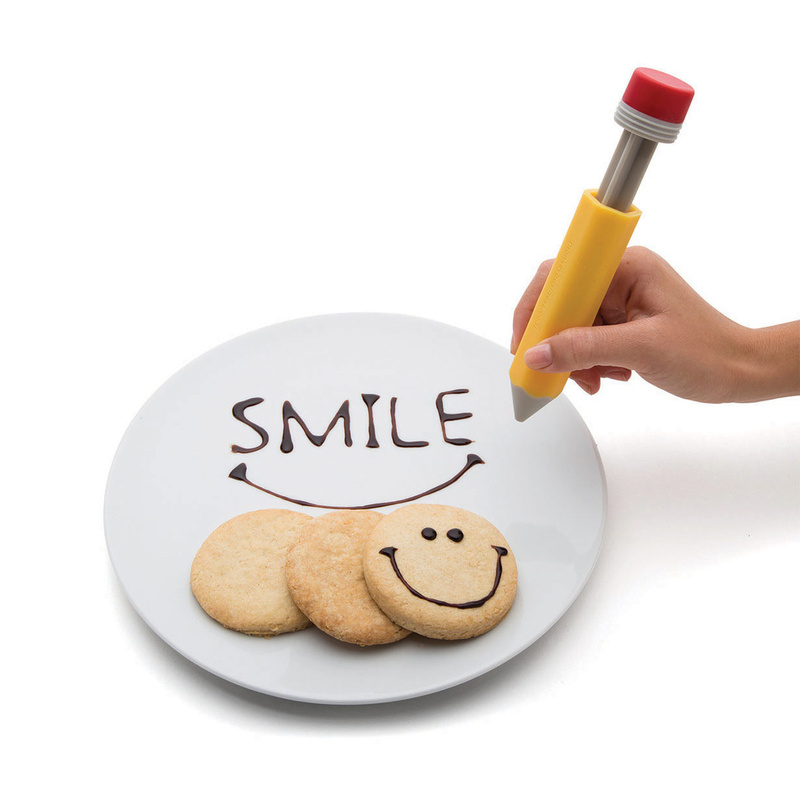 When it is ‘charged’, decorating your biscuits or cakes becomes child’s play: simply apply a light pressure with your fingers and the cream will come out. 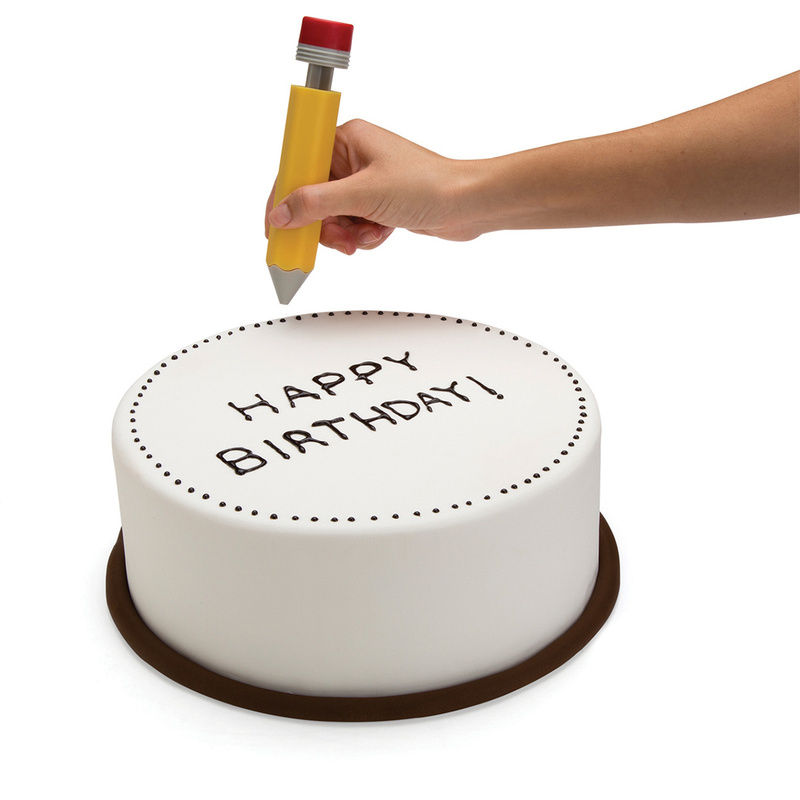 Write on allows you to create the most diverse decorations, and it is the perfect accessory even for those who want truly write, as is the case with birthday cakes. 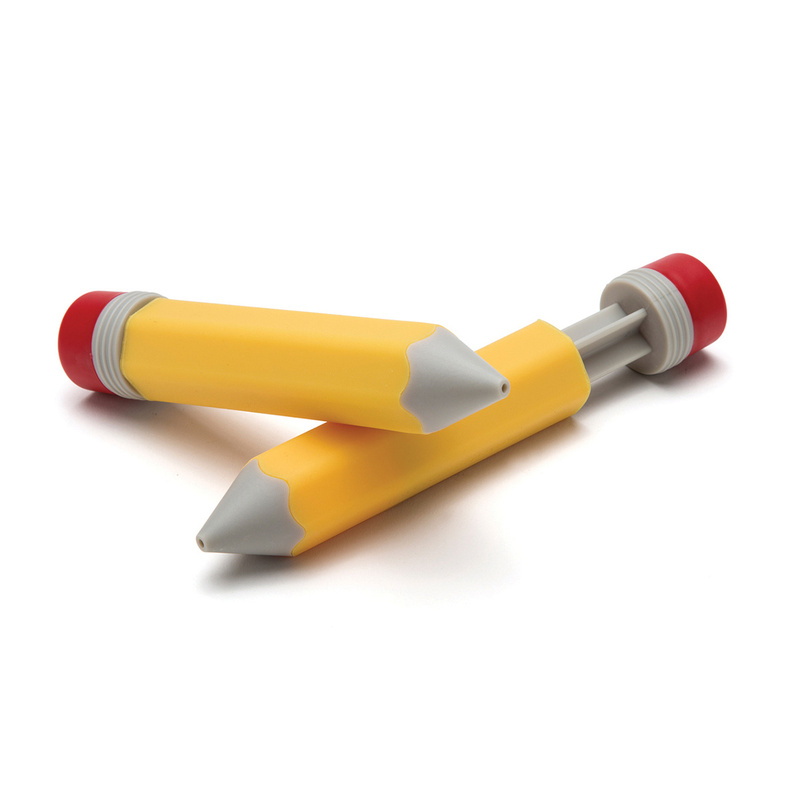 After all, a well-decorated cake is much more inviting than a simple one, and Cake Design has now become a real discipline, making it not uncommon to come across some cakes that are real works of art. 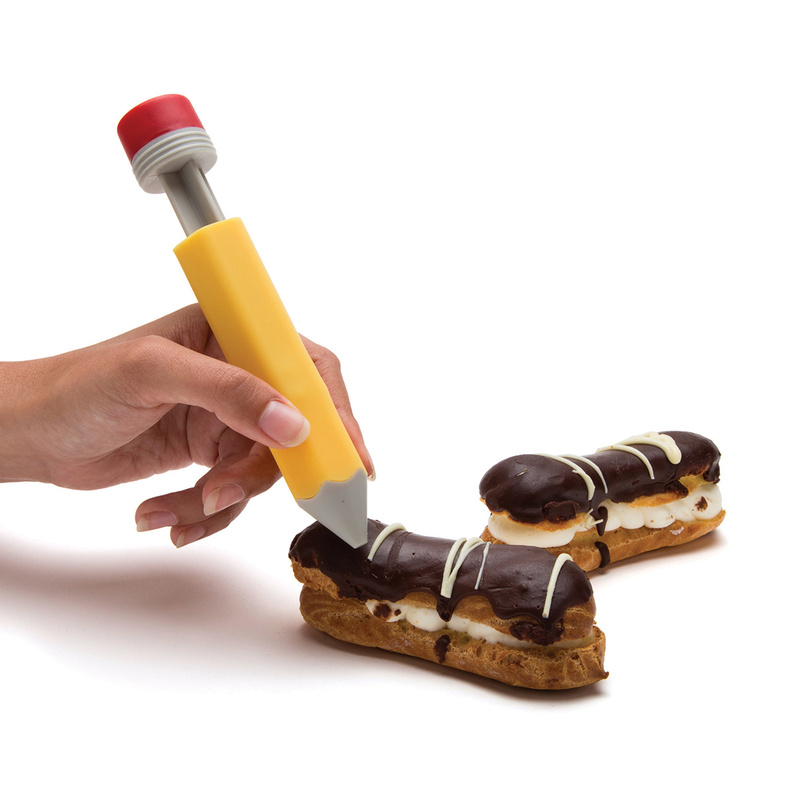 Obviously, you do not need to create a masterpiece to make a cake tempting: even a few simple details will suffice. 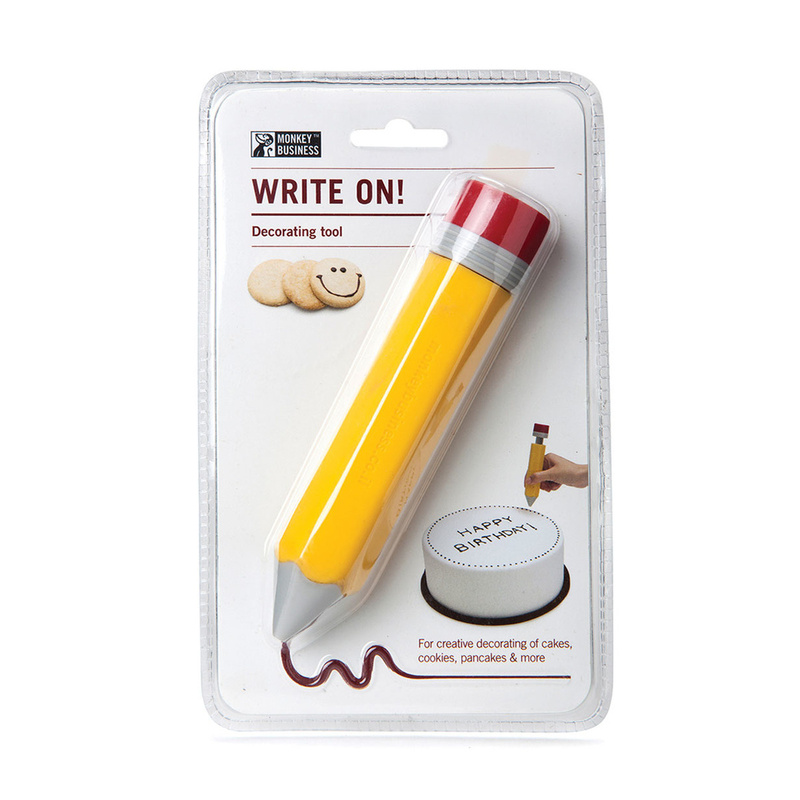 In addition to being a very useful item in the kitchen, the Write on cake pen by Monkey Business is absolutely worthy of being displayed thanks to its original appearance: a ‘huge’, brightly coloured pen that seems to have come out of a cartoon. 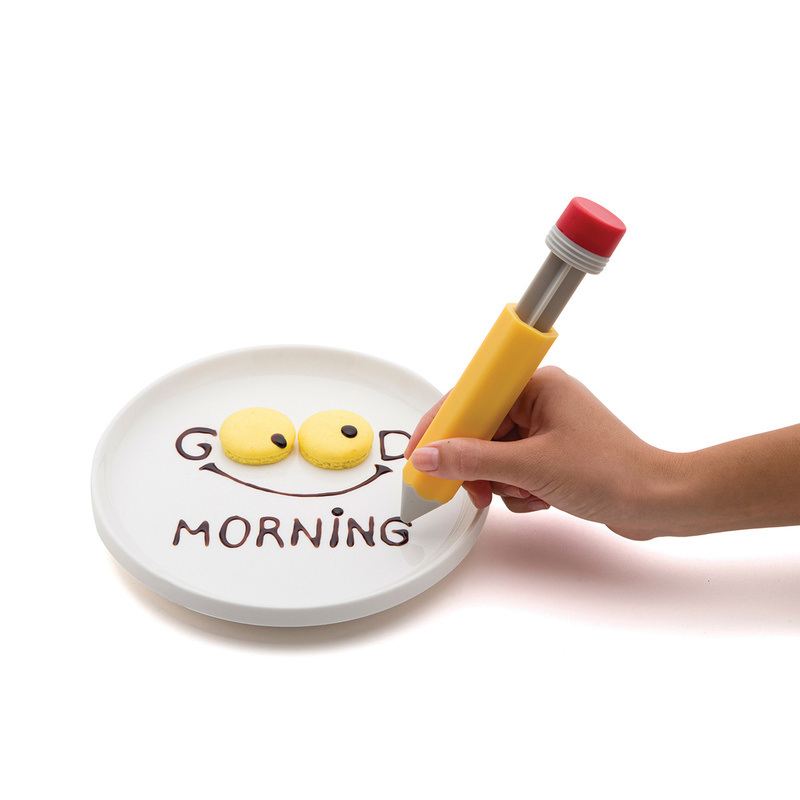 Information: Dishwasher safe.